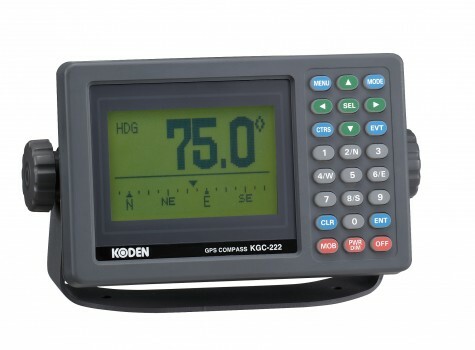 Please fill in the short form below with your question, either about the Koden KGP-222 GPS Compass, or for some technical advice. Please include details of your vessel if you feel they will help us answer your query. Koden KGC-222 GPS Compass is a highly accurate GPS compass providing accurate heading, position and speed data. The system also has a back up sensor built in, pitch/roll and heaving data output. 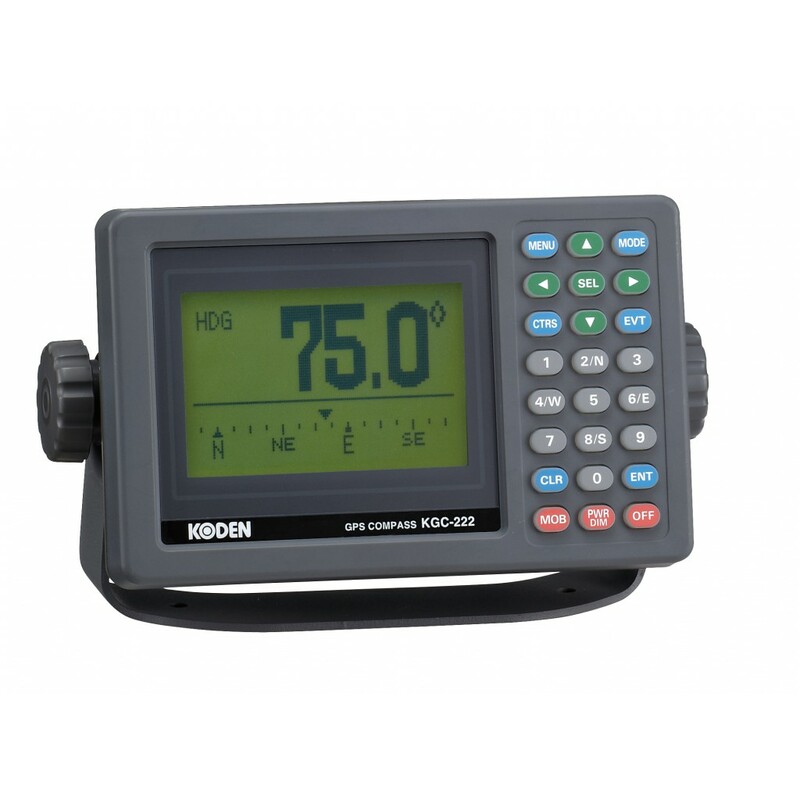 KGC-222 consists of two main components, display and antenna. Display unit has processor, receiver and LCD display built-in. 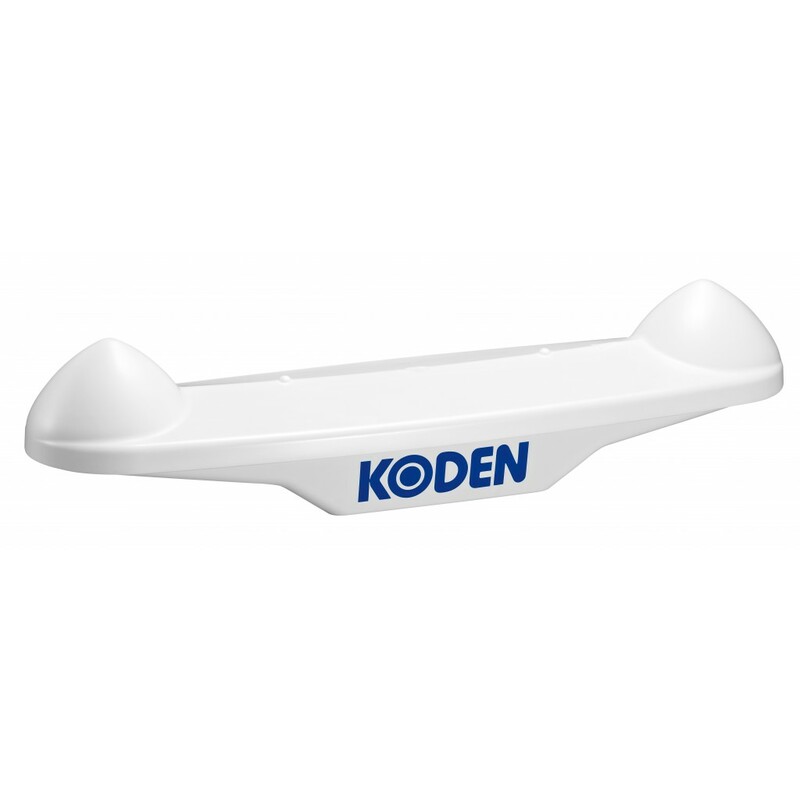 The antenna has a 16 channel GPS engine, which is accurate to 1 degree with a heading resolution of 0.1 degree. The backup sensor enables to output heading even if the GPS signals are interrupted eg.passing under a bridge. Pitch / roll and heaving data output. 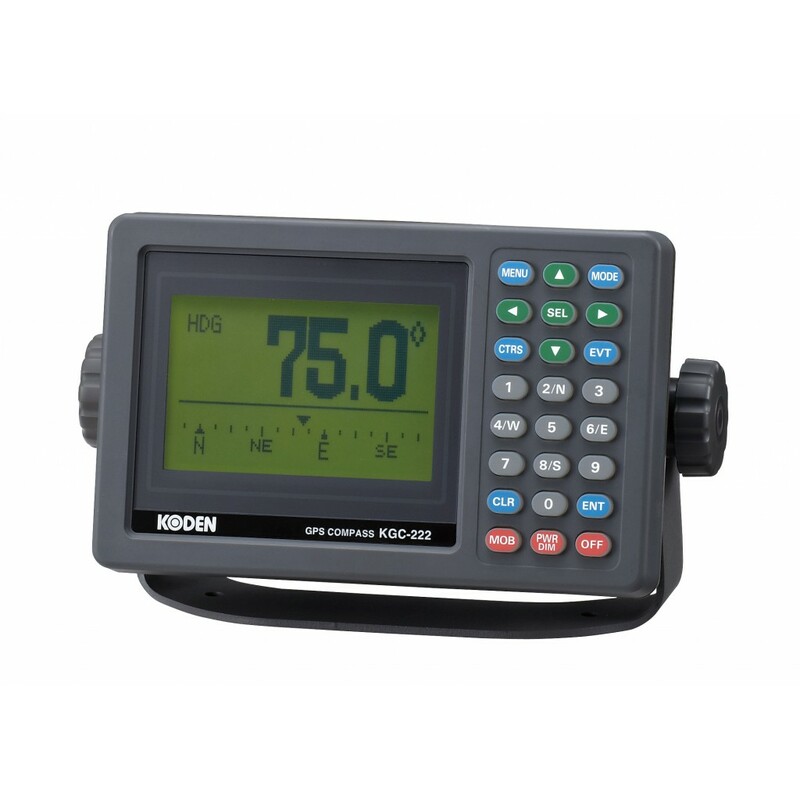 When KGC-222 is used with an echo sounder with heaving compensation function, you can obtain stable sea bottom without effect from heaves and waves. 3 heading data output ports expandable to 5 with connecting optional junction box JB-35. SBASS (WASS / EGNOS) enabled.